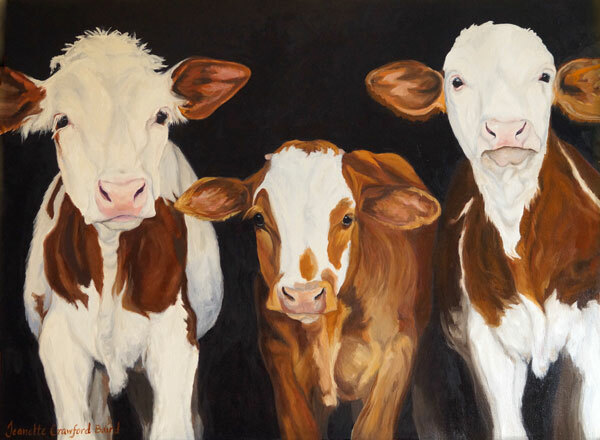 I had begun painting these three charming cows about two months ago and after getting it two-thirds done, I had to set it aside due to a wedding, home remodel and vacation. When I picked it up again this week, I was surprised by my hesitancy in not diving right in! I found I had other things to do even when I had be missing painting so very much. Elmer was the last cow that needed to be done but I felt like I didn't remember how, or that I was painting on someone else's artwork. 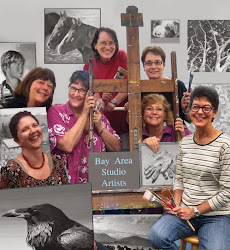 I soon realized that I just needed to get back in the flow of painting. I put on some music and began by painting the background and sides. Before I knew it, I couldn't stop as I was having too much fun! I just love these three characters!!! The looks on their faces is one of curiosity and interest. Do you happen to know what that skin fold hanging down from their neck is called? I looked it up online after painting two of them. It's not a wattle but a dewlap. Just excess skin with no known purpose.